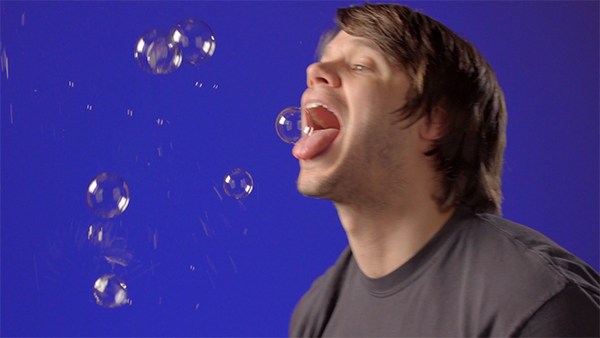 Lick-a-Bubble: Create your own bubble snacks! 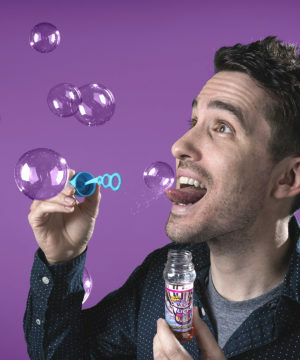 Lick-a-Bubble makes floating bubbles you can actually eat! 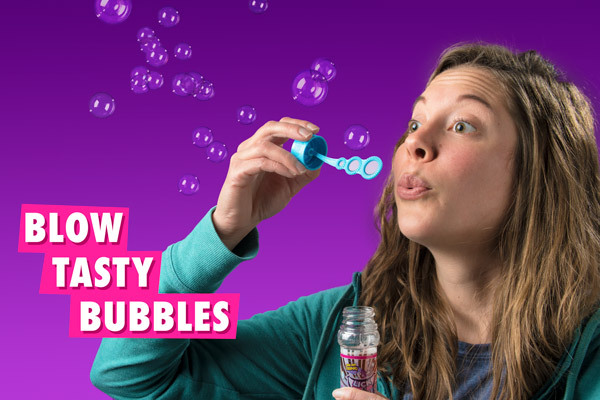 Use your favorite delicious drink to blow yummy bubbles that are designed to be devoured. Each bottle is partially filled with a non-toxic bubble solution. Add your favorite beverage to the mix, gently shake, and use the enclosed bubble wand to start creating your own floating flavored treats. 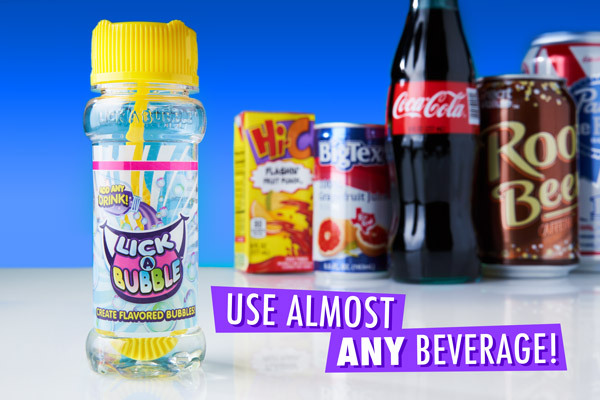 What makes this product truly awesome is that you choose the flavor of the bubbles by adding your drink of choice. Try soda bubbles for your child’s birthday, lemonade bubbles for a summer day, and orange juice bubbles for a whimsical weekend breakfast. 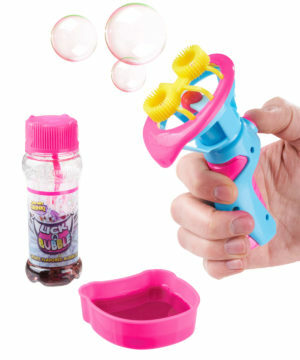 Pick up the Bubble Blower to make even more bubbles for a floating feast. The bubbles are completely safe (and delicious) to eat, so snack away! Add your own liquid to make flavored edible bubbles. 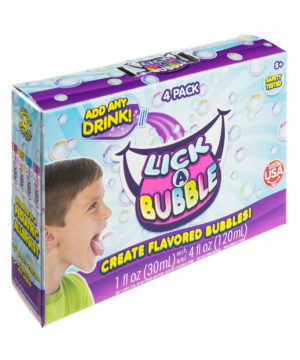 As if eating bubbles wasn’t crazy enough, Lick-a-Bubble also lets you choose the flavor! Transform your favorite beverage into an edible version of the classic toy and try the flavor in a whole new way. The bubbles taste amazingly like the liquid you add, so you’ll love chasing down each deliciously flavored bubble. You’ll feel like you’re in Willy Wonka (without the floating). Lick-a-Bubble makes it easy to create your own tasty translucent treats. The bottles are already pre-filled with a special non-toxic bubble solution. All you need to do is add your drink of choice, filling up the bottle to the red line. Gently shake the bottle to mix the solution with your beverage, and you’re ready to blow. Use the bubble wand included with each bottle to start tasting your creation. 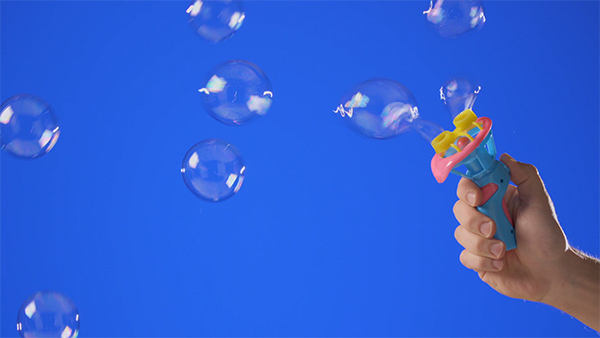 When you need more than just the bubble wand to satisfy your bubble fix, pick up the Bubble Blower. The battery-operated blower has a small fan with foam blades that generate more tasty bubbles than you could create with just your lungs. It’s great for larger groups or anyone who has a big appetite for bubbles. Make a bevy of bubbles. 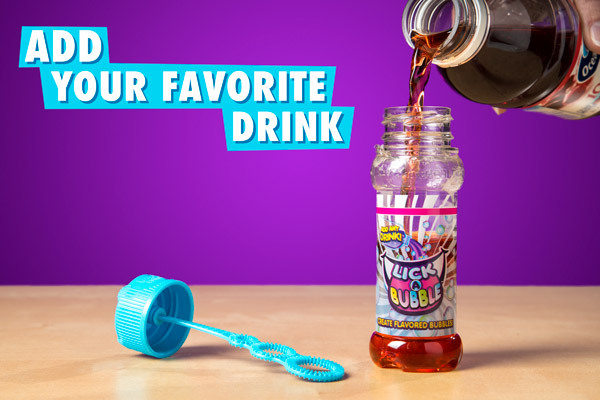 Lick-a-Bubble works with nearly any liquid you can imagine, so raid your refrigerator—or even your pantry! Chow down on yummy bubbles flavored like melted popsicles and tasty soda. Get experimental and try soy sauce bubbles and soup bubbles! The mixing process is so simple, you’ll want to bubble everything. Parents can even add their favorite adult beverage for post-bedtime fun. Makes even non-carbonated drinks bubbly. While eating bubbles may sound like something your mother would yell at you for doing, the Lick-a-Bubble bubbles are perfectly safe. Invented by a pediatric allergist, the solution is non-toxic, so you can safely snack on your bubbles all day. 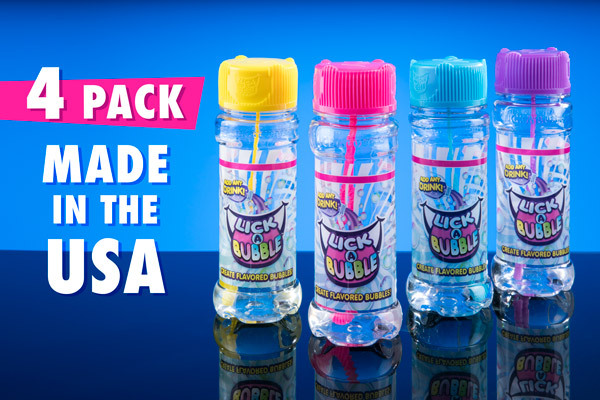 Each four pack contains four bottles, which each have their own pre-measured solution and a bubble wand attached to the cap. The Bubble Blower pack contains one bottle plus a bubble tray for easy filling. Try a sudsy smorgasbord of your favorite flavors. Question: Can I use any liquid to make bubbles? Answer: Lick-a-Bubble is not designed to work with thicker liquids, such as milk. Any liquid with the consistency of soda or juice should produce delicious bubbles. Question: Is the solution safe to drink? Answer: The pre-mixed bubble solution is non-toxic but not intended to be ingested on its own. It’s completely safe to consume but drinking an entire bottle could give you a stomach ache. Stick to the bubbles. Question: Does the bubble solution have a flavor? Answer: The solution itself is slightly sweet, but the bubbles will take on the flavor of the liquid that you add. Question: Didn’t you guys used to have a different product like this? Answer: Lick-a-Bubble was previously branded as the Edible Bubbles Kit. The new edition has a longer shelf life and makes the same delicious bubbles as before.